Ready Player One is a book that shows a deep respect towards nerds, yet still appeals towards the average person who enjoys a good adventure. The book is written by author Ernest Cline and centers around Wade Watts, an 18-year old man in the dystopian future of 2044. The entire planet has been plagued by climate change and overpopulation and the only escape from the decline their world is facing is to turn to a virtual reality simulator called the OASIS. Once the creator of the OASIS dies, a video is triggered, which features the creator challenging everyone to find an easter egg left in the OASIS, the prize being his immense fortune. The book then goes on to represent the 80’s in all its glow, tossing in every and any reference at the reader to truly immerse them into an almost nostalgic future. All the characters introduced are all given such personality with all of them holding the same goal, all trying to acquire the egg. Halfway through the book, it does give this great moral quarrel that stuck out. It asks two lower class characters how such a fortune as the book describes should be used; to better humanity in a crumbling world or to abandon the planet and its population in order to thrive elsewhere. The answer isn’t ever given so that theme stays in the back of the reader’s mind, which is another testament to how well the book is written. The theme doesn’t necessarily speak against the idea of the obsession that the protagonist carries due to the setting that surrounds him, letting the reader empathize with him and his only passion: finding the easter egg. Throughout the book, the journey keeps the reader both coming back not only to the interesting setting being described, but also in their own personal attempt to figure out the mystery of where the egg truly is, making every reader a true gunter (“egg-hunters” as described in the game). The book also debates the problem of falling too deep into anything and the repercussions that could have. Yet it doesn’t represent these characters as normal and makes the argument for all-out immersion in any medium much more grey. The book does have a very sudden ending however, but justifies it artistically. 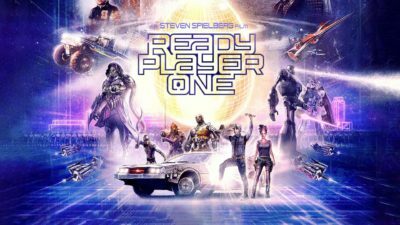 Overall, the world that Ready Player One gives is a surreal one that isn’t that far-fetched from the present, yet gives a sense of hope at a very individualist level that leaves readers smiling from beginning to end.